It’s been five long years since we last visited Terlingua. That part of Texas is one of the prettiest places on earth. 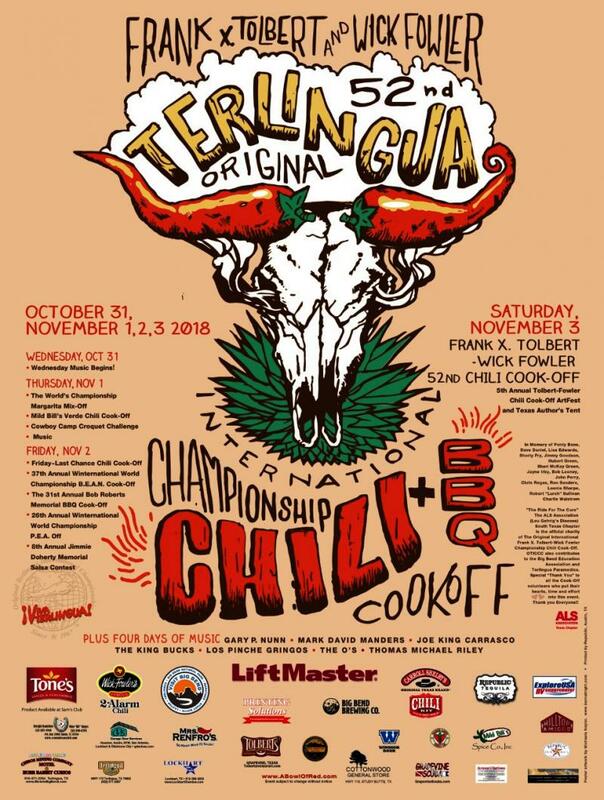 The Terlingua Chili Cook Off has been referred to as the Mardi Gras of the Borderlands and with good reason. After a few thousand Texas chili freaks get a headful of Mexican dirt weed, tequila and Lone Star it can get downright dangerous what with all the spontaneous gun shooting and hell raising going on. The Saturday night of the cook off can sound like New Orleans’ 9th Ward on a weekend night. We used to joke that if you showed up at the chili shootout without a gun you were issued one. We now live a 15 hour drive from Terlingua and lord knows when we’ll be able to take a week off work to make the drive back out to the ghost town of Brewster County.